HISAhopper, thanks for that -- FYI the guy I spoke to today said that I should only be linking externally to the Basic Savings 0001 account because there may be fees involved if you transfer funds directly into the Earn More Savings 6001 account. For example, I used the DUCA transfer feature to pull $200K into DUCA from Simplii this morning using the Earn More Savings account as the target for funds receipt. Apparently that generated a $2 service charge at DUCA (although he waived it). I told him I had more money coming, and he said next time I should use the Basic Savings as the target and then phone them again to move into the promo slot. Apparently the restriction has something to do with someone at DUCA having to manually verify that the money going into the Park Account is new money. I'm not sure I really buy that story (plus no one else on this thread has brought up this service charge stuff before) or maybe I just misunderstood what he was saying. Not sure I care anymore at this point, and it's no big deal to me to do it their way as long as it works and doesn't cost me anything. In any case the whole exercise is a bit convoluted, but for me the deposit phase is nearly over. The money can now just sleep until at least May 31, then we'll see if they have a renewal deal. That's weird. I opened the account online Mar 4, was told to wait for email, heard none so I called in on Mar 8 and was told account was ready on Mar 6. huh...whatever. I then initiated a pull at DUCA to move fund from Tangerine to DUCA while the rep was on the phone with me, forgot which DUCA account the fund went in, no mention of service fee. I will ask again next time I spoke to DUCA, something to keep an eye on. 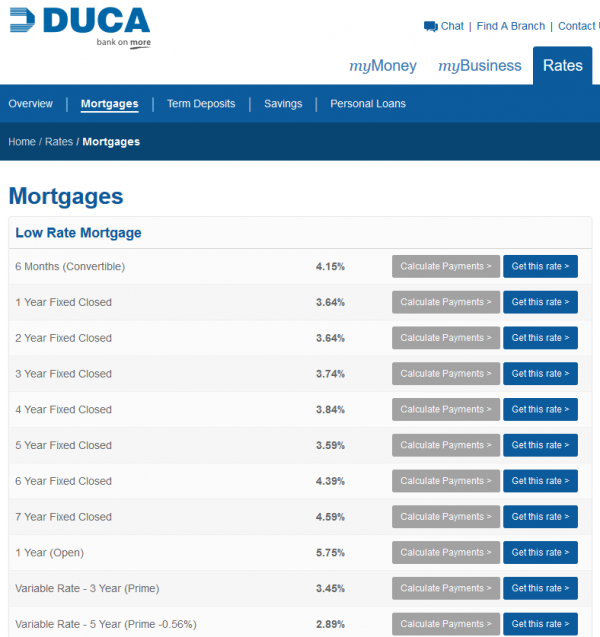 What are bank number & branch number for DUCA? Perhaps that's the root of the apparent restriction on external transfers to this promotional "park" account versus the regular "Earn more" savings account: they ding you when you bring money in or send it out from their institution, but they're still able to advertise "NO FEE!" **when transferring among their own accounts**. I too signed up for an account (on Sunday) but was surprised not to receive so much as even an automated welcome email. Quite happy with their customer service at the end. Online service support is pretty spotty esp Chat not avail not when it should. I advise that who still waiting for your account to open to call in and enquire about it. That helps to "prioritize" it for sure. I was surprised at that too. The only evidence that your application has been accepted and is in the works is the final screen in the app process where it gives you a temporary access code that you'll be needing later for your initial sign-in once they actually get your account open. Based on other people's experiences (including my own), if you filed on Sunday you might want to start calling Thursday morning to see if you can give it a nudge. Spring is coming, and the housing market will be heating up very soon. I posted earlier that Duca rep told me that I could link any of the 3 accounts to an external account and would be able to push/pull. It looks like I was misinformed as I initiated 2 micro deposits from Tang to the Earn more savings accounts 6001 but the 2 micro deposits ended up in the Savings account 0001. I will try to pull from the 6001 account at Tang site to see what happens. About 2 hours ago, I was explicitly told the opposite (i.e., that only the "regular" savings could initiate a pull transfer; the rep then moved the pulled funds into my brand new "Park" account). It sounds as if there's some confusion among their reps, or their systems are wonky. Another example: I'd had to call-in today after my account was initialized, because my login wouldn't work: I logged in for the first time yesterday or the day before (after finally receiving the welcome email), chose my own password (i.e., changed from the one they assigned me in the original application), set-up the 3 security Q&A, etc. Then today I noticed that my cheque to myself was finally "cashed". So I logged in to have a look, and I was locked out. Why? The username I'd entered was all caps ...EXACTLY AS THEY SENT IT TO ME...but rep on phone told me I had to enter it in lowercase. And also that Firefox wouldn't work (though it DID when I logged in two days back). I am not sure what is going on, I may have made mistake in linking the accounts. A member of a different forum reported that s/he used the account numbers 9001 I posted in the forum and successfully linked and pushed money from Tangerine account directly to the Earn more Park 9001 account. I need to do more testing and will report back. I can confirm now that I linked Tang account to DUCA Earn more saving account 6001 with the 2 micro deposits and also successfully initiated a pull on Tang site to move money out of DUCA 6001 account. As per phone conversation with a DUCA rep, the pull amount is unlimited. 50K daily limit is for push money out of DUCA. Other banks have 1 or 2 mil for pull, I guess DUCA has a high limit as well, "unlimited amount" is probably a theoretical amount. So what do you guys think will happen after May 31st with this promo account? I'm a DUCA member since I bought some GICs from them. I've gotten frequent emails about this 3.15% savings account including one just yesterday. Seems like if they are still taking new applications for this account only to yank the rate down in less than 2 months they'd have a lot of annoyed customers. But their regular "Earn more" savings account is only 1.5% which is quite a large disparency. As someone else already suggested, their next move also depends a bit on the local/regional RE market and whether they end up advantageously placing all the cash they've hauled in lately (and still seem to be soliciting) -- that's the tricky part about banking, matching up your maturities on both sides of the balance sheet, and you'd better not get it wrong -- anyone here remember Continental Bank? May 31st is approaching, I am looking to move the money out of Duca, and could be to Meridian (down from 3% to 2.75%). I see there is Omnia credit union with 3% but not sure how safe/convenient it is. Any idea if i should close the Duca account as I don't use it for any banking need or keep it opened for future promotions?